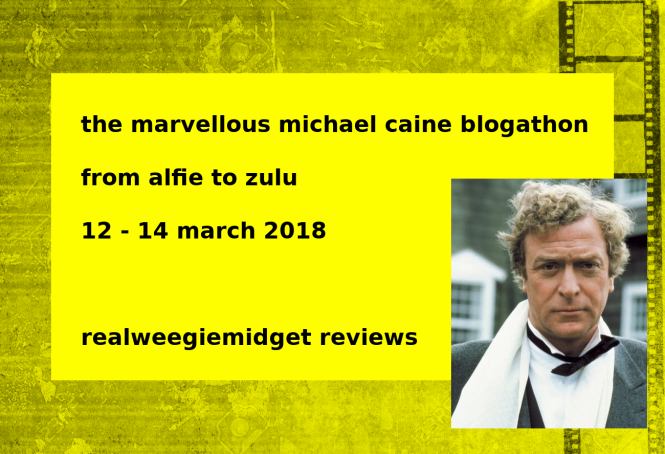 This is my 1st of 3 reviews for the The Marvelous Michael Caine Blogathon 2018 being hosted by Gill of WeegieMidget. Tnx for letting me partake Gill! Brief Synopsis – A man fed up with his life gets a chance to see what his life would have been like had he hit a home run when he was a kid instead of striking out. My Take on it – This is a film that I saw when it originally came out nearly 30 years ago. I recalled it being a fun film and remembered the general idea of the plot but not necessarily the specifics. I have always loved these kind of films where the main character gets a chance to glimpse what his/her life would be like if something they experienced had been slightly changed. This film relies too heavily on the premise that if a teenager had hit a home run instead of striking out then his whole life from then onward would be very different. Jim Belushi is fine in the lead here but he plays his character too over-the-top which takes away from making him a very sympathetic character which is sorely needed in situations like these. As much as I love this kind of premise, it has been overly used in movies and tv shows and this is one of the cases where is just doesn’t work well enough for it to resonate with the audience. 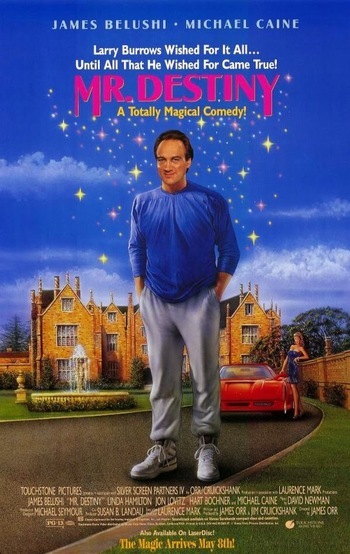 The attempt to make this story feel even better with the addition of Michael Caine as the Guardian Angel of Belushi’s character doesn’t work as well as one would hope and doesn’t even manage to elevate the story to being more enjoyable. Bottom Line – Love theses kinds of movies, but this one just doesn’t resonate well enough. Belushi is fine in the lead but he plays the part too over the top instead of coming across as a very sympathetic character. This theme has been overly done in films and tv show and this just isn’t among the best of them because it comes across as being quite mediocre. Caine is pretty good as Belushi’s guardian angel but unfortunately doesn’t add enough to make this film any better.